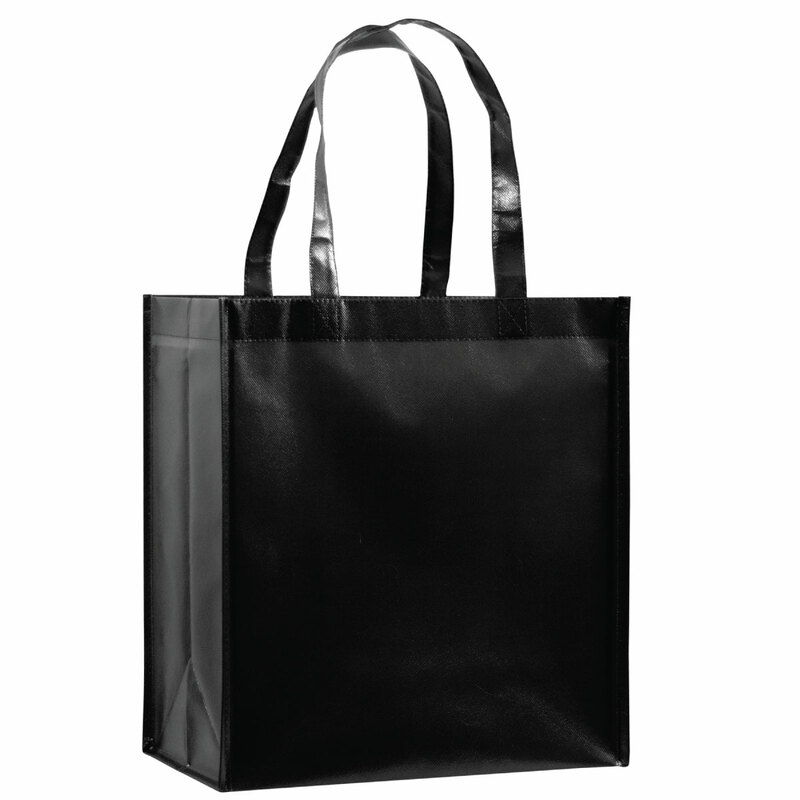 This durable designer bag measures 12" x 13" and features 8" gussets with 22" handles. Constructed out of a non-woven, laminated polypropylene material that is easy to wipe clean while providing additional structure and strength. Designed to resist water, tears, and UV rays. Includes a poly board insert made of recycled plastic and a high-gloss finish for a fashion-forward style. This bag may be customized with a company name and logo.